Angeline Liu serves #TeamReal as the head of Marketing, the leading force in building Real Hemp’s brand and direction for the voice of the company. She is passionate about reducing carbon footprints in any way possible, believing hemp is an important lifestyle for the world to adopt for a greener future. She believes learning never ceases in life and continues to expose herself to new experiences and education through travel. Angeline Graduated with a degree in Design from LaSalle School of the Arts in 1991. She later graduated the Royal Melbourne Institute of Technology in Australia with a degree in Advertising in 1993. 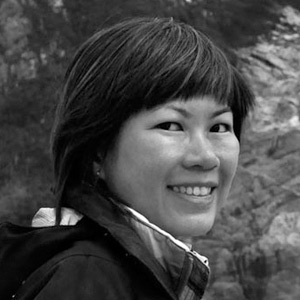 Angeline has been a practicing professionally for over a decade working in the field of design and communications. Having lived and worked in the world of design and print when Adobe was not established, she understands the fundamentals of design, making her an invaluable asset able to apply key fundamentals to new technology. Angeline has been responsible for countless projects ranging from Singapore Airlines to ‘Mom and Pop’ Concept Shops and her worked has ranged from McDonald’s campaigns to local brands in Singapore.